this painting contends with handling of attitude in the context of dealing with issues that include obsession with tech gadgets as well as with personal baggage… at times, one must take a “time-out” to deal with the beast within…. 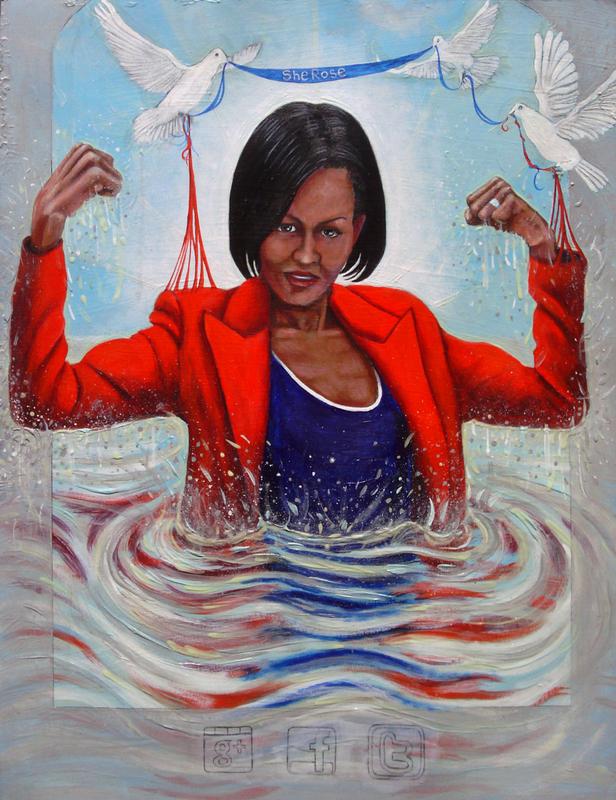 app 4 heroic strong women © GN 2012 24″ x 28″; acrylic, pencils, ink & oil on paper. this painting is a tribute to the strong, influential and important women in the world!! 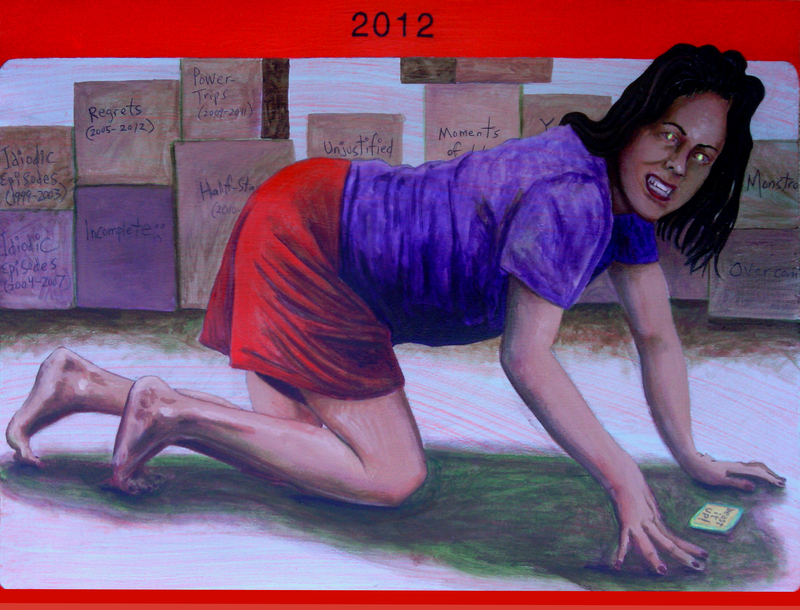 this is my first painting of 2012: “app 4 reawakening the 3rd eye2″ (28 x 22”, acrylic, pencils, ink & oil on board)… I absolutely admire, respect and am intrigued by the Maya! Lets have a great year!